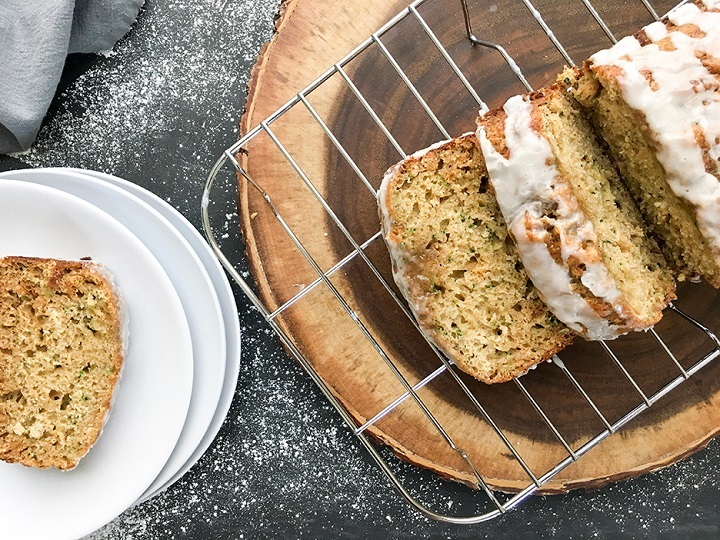 Greek Yogurt Zucchini Bread is a simple quick bread that you’ll love. It’s packed with Greek yogurt, cinnamon and other warm spices and of course zucchini. 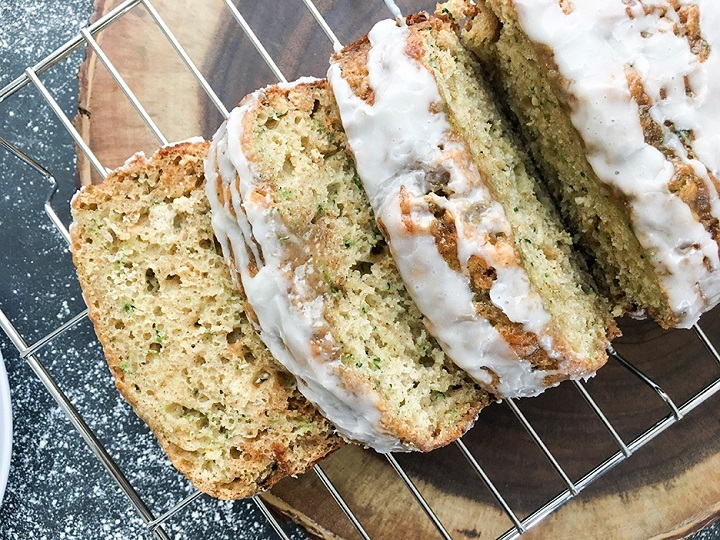 So, if you’re not sure what to do with the zucchini that’s in your fridge, pull them out and follow the easy steps outlined below for a nutritious breakfast idea. 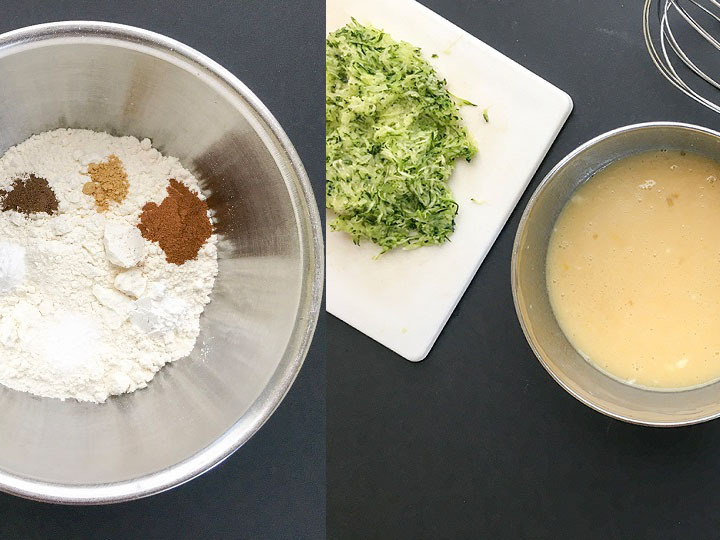 I love sharing my recipes and couldn’t wait to share one of my favorite quick bread recipes. It’s so easy to prepare and makes a wonderful breakfast, snack or even dessert. It’s not too sweet and doesn’t contain refined sugar. This recipe has the same base as my Healthier Banana Bread recipe with only a few small tweaks. It’s perfect as a make-ahead breakfast or simple enough to make on the spot. Greek yogurt is used instead of oil or butter. It makes a smooth and creamy texture makes for a moist and tender bread without the added fat. Dry Ingredients: Feel free to use all-purpose flour, whole wheat flour, a combination of all purpose and whole wheat flour or any other alternative. For this recipe, I used all purpose pastry flour; however, when using whole wheat flour, a combination of whole wheat flour, or other alternatives will require different measurements. If you’re looking to use a combination of all purpose and whole wheat flour refer to my Healthier Banana Bread recipe. Greek yogurt: Feel free to use plain or vanilla. Vanilla Greek yogurt adds more sweetness although the sweetness is very subtle. Tip: Bring yogurt to room temperature to ensure that all ingredients incorporate nicely. If needed, microwave for approximately 13-15 seconds and stir just to ” knock the chill off”. Zucchini: After grating the zucchini, make sure you squeeze out all of the water. Zucchini has a high water content, and it’s very important that you squeeze out all of the water using your hands and/or paper towels. Agave: Use agave in place of sugar as agave has a lower glycemic index which can help manage diabetes. Add-ins: This is my favorite part. You can add nuts such as walnuts, pecans, sliced almonds, dried fruit, chocolate chips the list goes on. My favorites are: cinnamon and brown sugar mix and walnuts or a simple streusel or a simple glaze which is shown in the photo below. Since it’s pumpkin season, try my Healthy Pumpkin Walnut Bread you will not be disappointed. These recipes are quick, simple, convenient and most of all healthy. Pair it with a side of fresh fruit for a light breakfast idea. 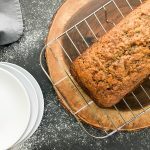 Greek Yogurt Zucchini Bread is a delicious and satisfying quick bread that doesn't contain any refine sugar. It's made with Greek yogurt, organic blue agave, fresh zucchini, and warm fall spices. Pour batter into prepared loaf pan. Sprinkle the top with brown sugar/cinnamon mixture (optional) and bake at 350 degrees for approximately 35 to 40 minutes or until toothpick comes out clean. Do not over-bake. After grating the zucchini, make sure you squeeze out all of the water. Zucchini has a high water content, and it's very important that you squeeze out all of the water using your hands and/or paper towels. Tip: Bring yogurt to room temperature to ensure that all ingredients incorporate nicely. If needed, microwave for approximately 13-15 seconds and stir just to " knock the chill off".